What do I need to take into account when it comes to motion detectors? What are the benefits of a twilight sensor? 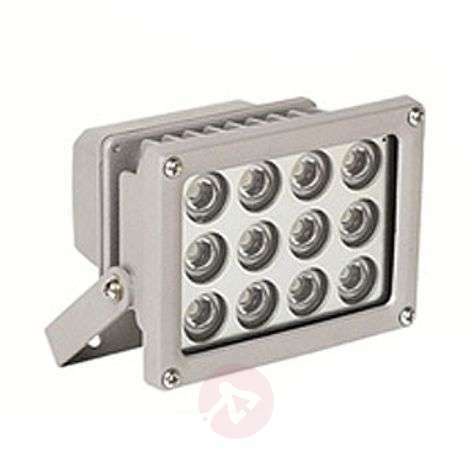 Which IP code should outdoor spotlights have? Which is better – LED or halogen? 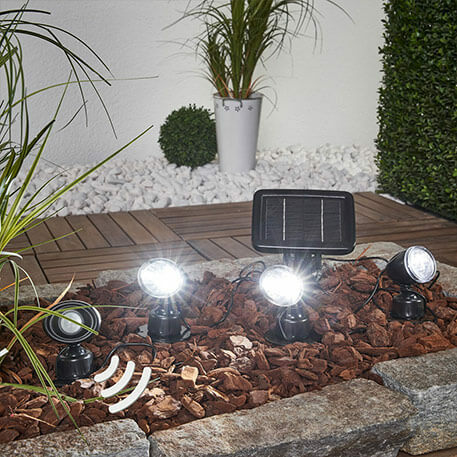 Can you get outdoor spotlights with a remote control? Can you get outdoor spotlights with a camera? 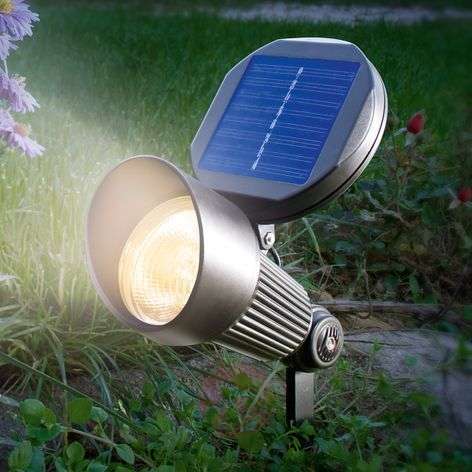 Can you get solar outdoor spotlights? Can't decide which to buy? 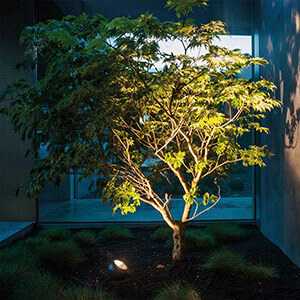 Take a look at our Guide to outdoor spotlights.. Shine the spotlight on anything you like. And there are plenty of options when it comes to the “how” too. It is not just about providing “bright” light. You can also opt for a broad palette of colours. Check out the luminous colour in the product details and see if the light offers multicoloured lighting. Then you can choose between hundreds of colour scenarios to suit your mood. A motion detector is a great feature that you can really benefit from. For greater convenience and safety, to prevent tripping over, for security against intruders and enormous electricity savings. 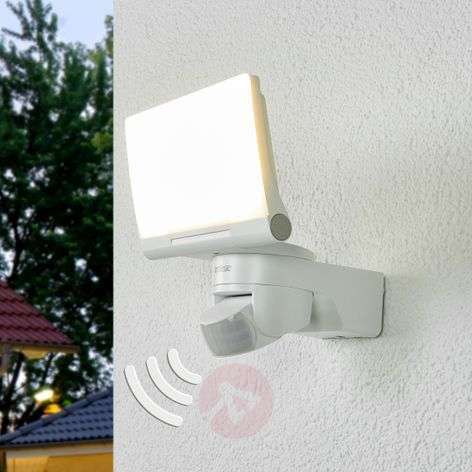 Many outdoor spotlights come with a motion detector. If not, you can fit them retrospectively if required. Check out our motion detectors category to find suitable products. Each product comes with practical assembly instructions. Follow the instructions and you will be fine. Our team of experts is also on hand, should you need any further assistance. The light is supposed to come on when it gets dark but shouldn’t come on when it is still light. A practical twilight sensor can make sure that this actually happens. It doesn’t matter if no-one is at home in the evening to turn the garden light on. And you don’t need to worry about turning the light off again when the sun rises. A very practical feature for the garden. When used in protected and covered locations, IP23 is sufficient. IP44 offers protection against spray water from all directions. IP55 or even higher is needed for lights exposed to the weather. You need to take the individual conditions into account. A qualified electrician will be able to provide precise information about the IP code that you need. You can also ask our team of experts. Take a look at the following guide to find out what the numbers mean. To put it bluntly: LED technology is better. Halogen is better than the good old traditional light bulb when it comes to service life and low electricity consumption, but LED bulbs are even better. LED bulbs are 60 percent cheaper than halogen lamps. It is not a difficult decision. Yes, you can – they put the control of the luminous colour in your hands, literally. You can choose between multicoloured light or warm white light, depending on your mood. Take a look at “luminous colour” under the product details to make sure your favourite spotlight can shine in different colours. Intruders don’t like light. And they really don’t like cameras. 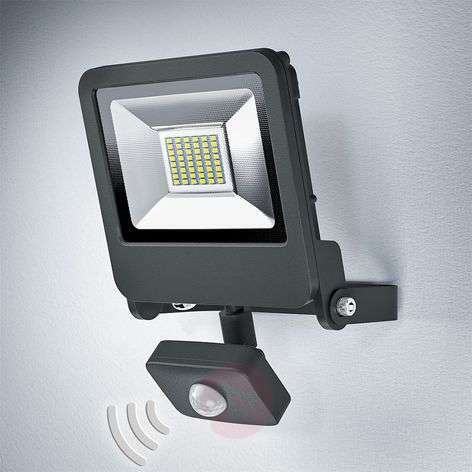 Outdoor spotlights with a built-in camera make your house even more secure. They are generally installed on the wall. In order to fully utilise their features, they are best-placed in the entrance area. They allow you to see who is standing in front of your house from the comfort of the beach using a smartphone app. If they come with a microphone too, you don’t even need to be at home to speak with your visitors. Not a great way to maintain friendships, however. Please contact our team of experts if you have any questions about how they work or their installation. You can find our contact details below. Save sunlight to use it overnight? Outdoor spotlights with solar can do just that. 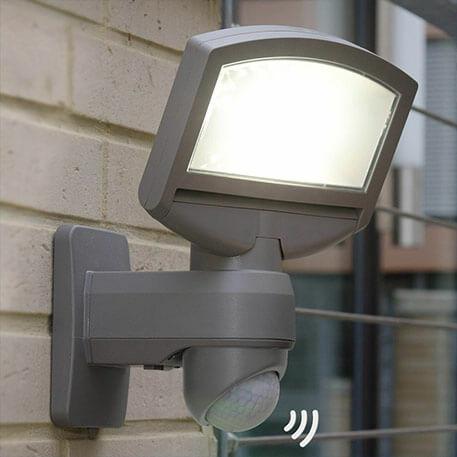 They are extremely practical when combined with a motion detector. 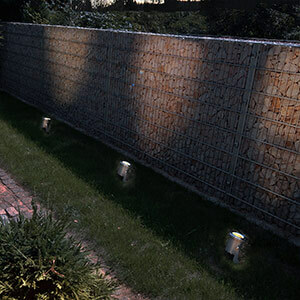 They provide light in your garden when it is needed, without any electricity charges. And the light switches off when it is no longer required, which protects the battery too. Tip: position solar spotlights in a place where they can absorb a lot of sunlight during the day. This will ensure you can use them to their full capacity. 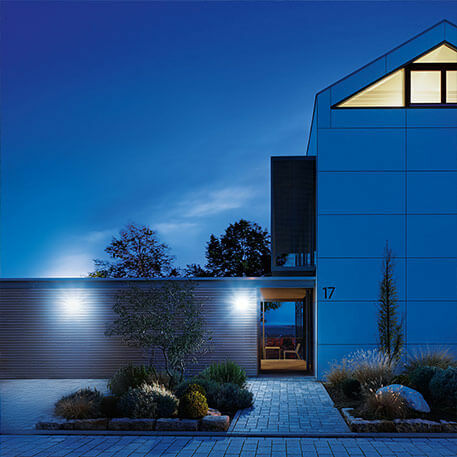 Steinel are famous for their outdoor spotlights – as well as other types of outdoor lights. 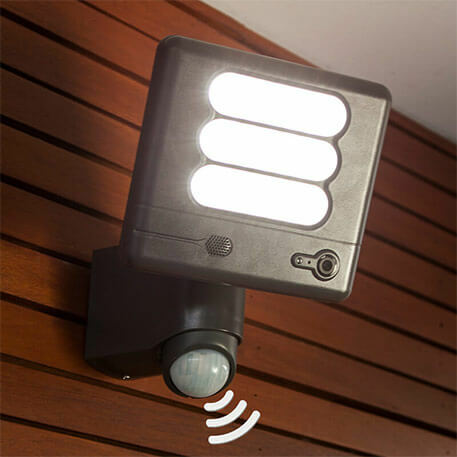 You can illuminate driveways and gardens in an extremely energy-saving manner with outdoor spotlights like the LED outdoor wall light XLED. Equipped with innovative LED technology and a passive infrared sensor, they only consume the electricity that is required. And provide lovely lighting to boot. Do you have more questions about outdoor spotlights? Why not speak to our team of experts? Phone them on +353 1 699 2138 or use the contact form.